As someone who works and studies from home and who has a lot of hobbies, I have quite a lot of things packed into spaces that can't quite hold them all. Recently I've been working on sorting through and reorganizing my shelves and closets, and it's been a slow and sometimes frustrating process. So when I spotted Marie Kondo's The Life-Changing Magic of Tidying Up, which boldly claims to offer a method of organization that will banish the need for further organization forever, I was interested to see if Kondo's approach really worked. 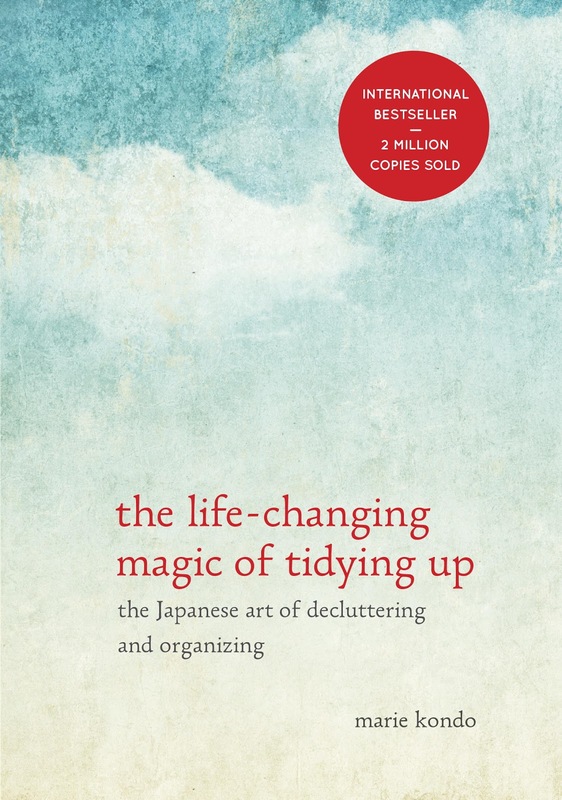 The Life-Changing Magic of Tidying Up is a small-scale book, about the same height of a mass market paperback and a little wider. It's also fairly slim, containing just five chapters. However, despite the streamlined appearance of the book I found its internal structure to be wanting in, well, organization. Kondo frequently uses personal anecdotes and examples from her business of organizing other people's homes, but when I seek information on practical tasks I prefer a just-the-facts approach. The numerous subsections in each chapter seemed to me to ramble on without a clear structure, and I found it difficult to sift the practical advice from the narrative clutter. I also often felt like Kondo was trying to sell me on the need to organize and the need to use her method, which annoyed me since I had already acquired the book. Surely once one is reading the book, one has already determined that they want to organize their space and would like to at least like to try Kondo's method? Ironically, The Life-Changing Magic of Tidying Up has been sitting on the floor of my craft cupboard for weeks, taking up space and gathering dust. I'll probably never know if Kondo's method of organization would have really worked for me--her method of conveying information was too frustrating for me to find out.